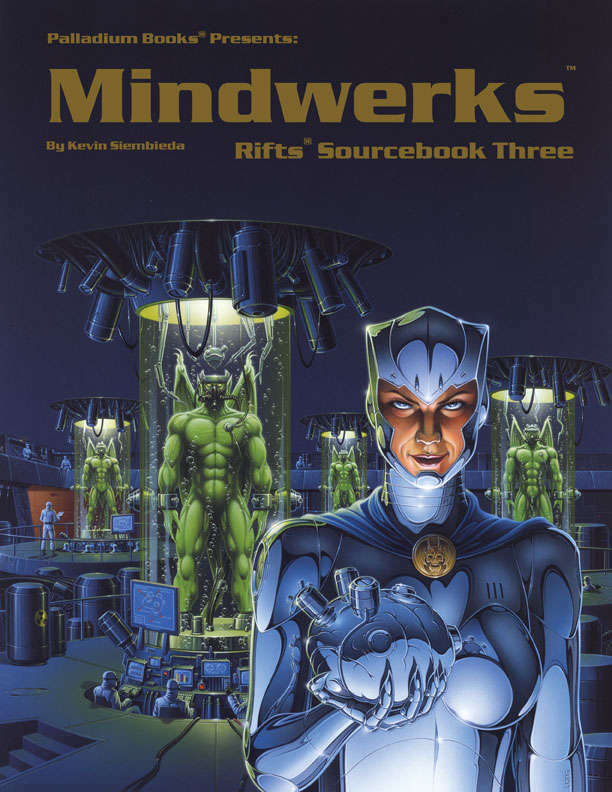 Nearly a dozen new O.C.C.s and R.C.C.s, including the Mindwerks™ cyborg, Psynetic Crazy, Psi-Bloodhound, Lycanomorph and others. New M.O.M. implants and powers. New robots, power armor, and weapons. The New German Republic™ outlined and mapped. The mysterious Mindwerks™, the Angels of Death and Vengeance. Gene-Splicers, an evil Millennium Tree, monsters, D-Bees and other villains. Epic adventure, ideas and more! This title was added to our catalog on December 15, 2016.